The LCR-55 is the 1st left-handed scissor in the Etaro line! It is the perfect scissor for those customers who want a high quality left handed scissor at a very affordable price. 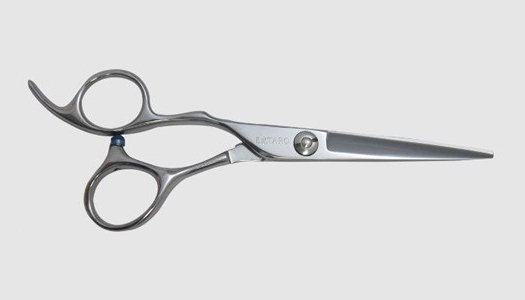 This is the Etaro CR Series LCR-55 Scissors, a medium weight scissor. overall length (tip to end of longest handle) = 5 1/2"